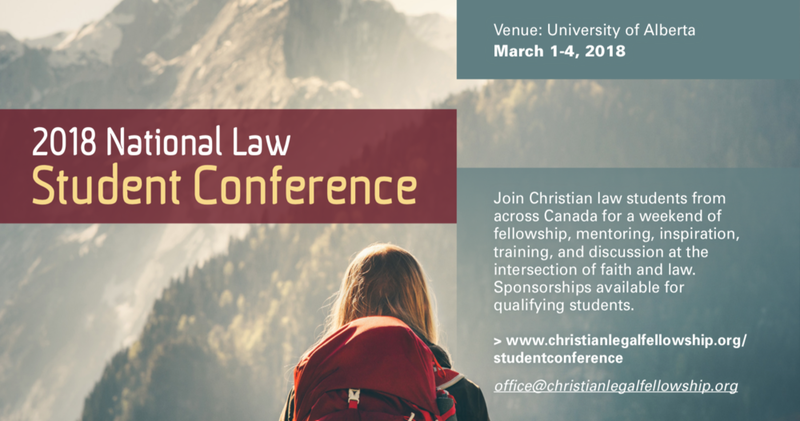 We are Canada's national association of Christian lawyers and law students. As Christian legal professionals, we are heirs to a tradition of legal thought that bears on many of the most pressing legal and constitutional questions facing our culture and profession. Yet we also understand that the practice of law is a vocation: a calling from God. This is a sobering mandate, and we believe it is our responsibility to further develop that tradition by working with others to pursue what justice requires in a free and democratic society. On April 1, 2019, CLF submitted its brief to the Special Senate Committee’s study of Canada’s charitable sector. CLF’s submissions focus on the value and impact of religious charities in particular, and explain why Canadian law’s continued recognition of ‘advancing religion’ as a charitable purpose is both constitutionally sound and socially beneficial. The following is a report on CLF’s intervention in the Truchon case at the Quebec Superior Court. On January 21-22, 2019 the Ontario Court of Appeal heard the matter of Christian Medical and Dental Society et al v College of Physicians and Surgeons of Ontario. Christian Legal Fellowship, the Evangelical Fellowship of Canada, and the Assembly of Catholic Bishops of Ontario intervened as a coalition to serve as friends of the court in support of the right to religious equality in health care. This article contains the podium notes which formed the basis for the Coalition’s oral submissions. The federal government has announced changes to the eligibility requirements for the Canada Summer Jobs program. Specifically, the controversial attestation introduced last year has been replaced. Overall, the changes reflect a welcomed step in the right direction. However, a number of questions, and potential concerns, remain. On December 11, the Standing Committee on Justice and Human Rights released its final report, “Moving Forward in the Fight Against Human Trafficking in Canada.” The Report is the culmination of a multi-month, cross-country study in which the Committee received submissions from numerous stakeholders, including Christian Legal Fellowship. In a detailed brief submitted as part of Ontario’s consultation on education reform, Christian Legal Fellowship (CLF) has urged the government to affirm in its proposed Parents’ Bill of Rights that parents have the primary right to care for their children, and are best positioned to make decisions for their education and well-being. Register now for the CLF 2018 National Student Law Conference, taking place at the University of Alberta from March 1-4. 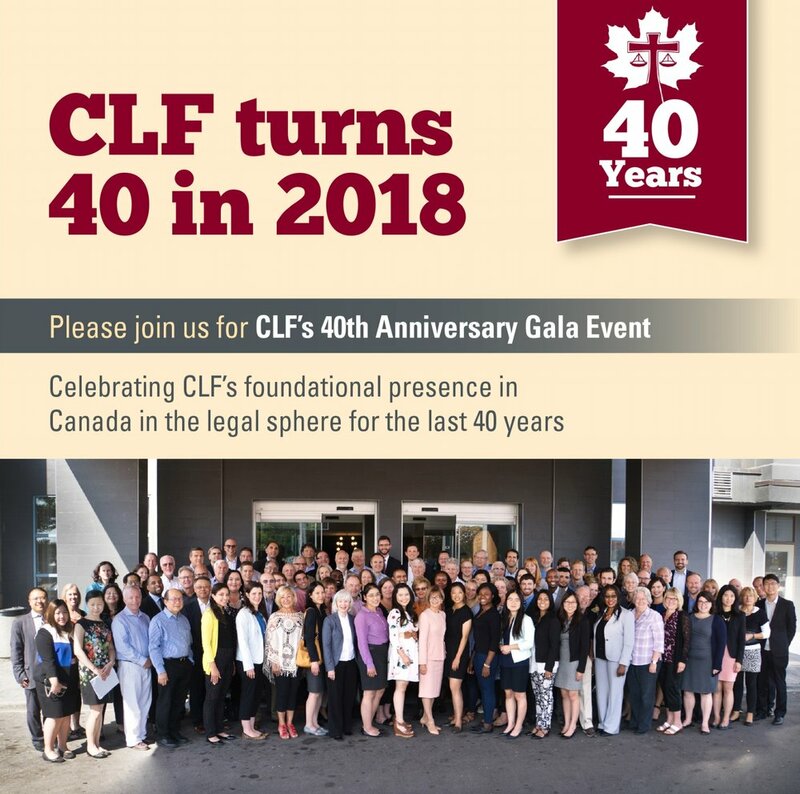 Registration is now open for CLF's 40 Anniversary Gala at the Osgoode Hall Historic Courthouse in Toronto on Saturday, April 7, 2018 at 6pm! 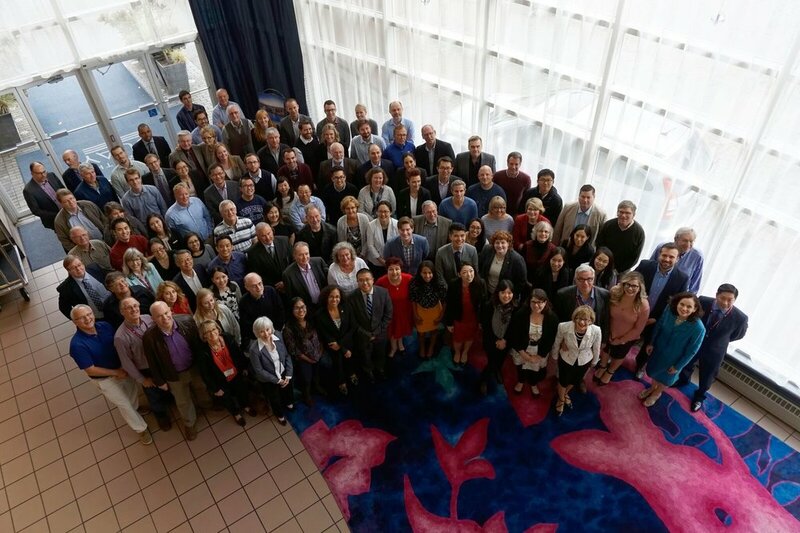 Apply to attend the upcoming week-long 2018 Christian Legal Institute in London, ON (April 30-May 4, 2018). 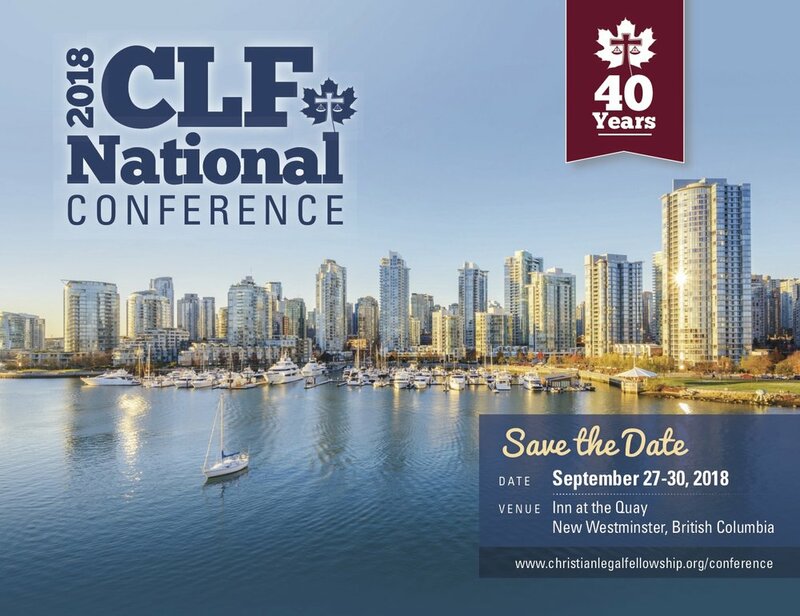 Learn more about CLF's upcoming 2018 National Conference in New Westminster, British Columbia.